A retired parish priest has written to Minister for Justice Alan Shatter calling for an independent commission of inquiry into the “horrendous death” of Fr Niall Molloy at Clara Co Offaly in July 1985. Co Roscommon-based Fr Frank McGauran (78) who went to school with Fr Molloy, has told the Minister that without a public inquiry “the widespread unease, distrust and suspicion of cover up and collusion at a high level, will inevitably fester and grow deeper”. 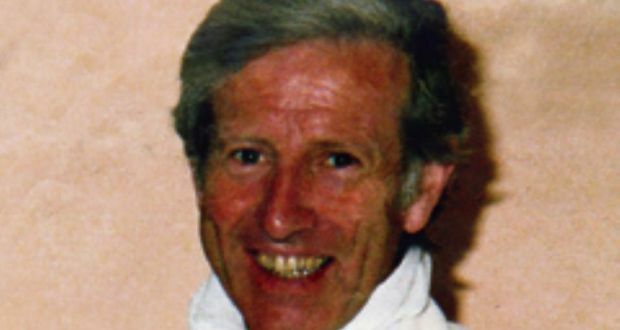 Fr Molloy’s badly beaten body was found at Kilcoursey House, the Co Offaly home of Richard and Teresa Flynn, on the day after their daughter’s wedding in July 1985.Richard Flynn was subsequently charged with manslaughter but was acquitted at the direction of the presiding judge Frank Roe, who knew the Flynn family. Last month Mr Shatter announced the appointment of senior counsel Dominic McGinn to carry out “an independent examination of the report of the Garda Serious Crime Review Team relating to the death of Fr Niall Molloy”. But yesterday Fr McGauran said he did not regard an inquiry into the Garda cold case report as sufficient to answer the many questions surrounding the killing. “That’s just kicking the can down the road. There is such pressure on him [the Minister] about this case he had to give a little bit, but I cannot see it coming to anything. It is all about the Garda report,” said Fr McGauran. The retired priest said there was “no doubt in my mind” that there had been a cover up. “When you think about it this is a terrible miscarriage of justice”. In his letter, Fr McGauran said many speakers at a recent rally in Castlecoote, Co Roscommon, where Fr Molloy was a popular curate, had suggested that Mr Shatter had given a pre-election promise to establish a public inquiry into the case. “I and many others want to know why you appear to be reneging on that promise. I have not the least doubt that there is no other way of getting to the truth of this grave matter without fear or favour”, the retired priest wrote. Fr McGauran complimented the Minister for his “outside the box” scrutiny of many issues since taking office. “I sincerely trust that you will do likewise with the Fr Molloy issue that haunts and trouble me and many others throughout Ireland,” he wrote. Asked to comment on the priest’s letter, a spokeswoman referred to the Minister’s recent statement to the Dáil about the appointment of a senior counsel to review the report of the Garda Serious Crime Review Team. After receiving this Garda “cold case” report the Director of Public Prosecutions determined that there would be no further prosecutions in the case. The Minister told the Dáil that the new review by senior counsel will identify whether any form of further inquiry, aside from the criminal investigation, would be warranted in the public interest.